In 1996, Peter J. D'Adamo's book "Eat Right 4 Your Type: The Individualized Diet Solution to Staying Healthy, Living Longer & Achieving Your Ideal Weight" introduced dieters to the Blood Type diet, a health and weight management plan based on your blood type: A, B, AB or O. Each blood group is instructed to eat certain foods and engage in specific types of exercise. According to D'Adamo, this is because you are genetically linked to your prehistoric ancestors through your blood type. People with type B blood -- whether B positive or B negative -- are supposedly descended from tribes that lived on the Eurasian plains. D'Adamo recommends type B individuals regularly take certain vitamin supplements for optimal health. However, the Mayo Clinic warns that no research studies or clinical trials exist to back up D'Adamo's blood type-based diet claims. In 2009, Dr. David L. Katz told "O, The Oprah Magazine" that following the Blood Type diet could result in nutritional deficiencies. The dietary supplements recommended by D'Adamo are not regulated by the Food and Drug Administration -- consult your doctor before beginning any supplement regimen. According to D'Adamo, people belonging to the B blood group have a greater tendency for magnesium deficiency. This, D'Adamo says, can cause them to become overweight. He recommends supplementing daily with 200 mg to 300 mg of magnesium. Magnesium is essential for proper energy metabolism and for the regulation of other vitamins and minerals including calcium, vitamin D, zinc and potassium. However, ask your doctor before taking magnesium, since it can interfere with drugs including digoxin, diuretics, blood pressure drugs and antibiotics. It can also cause diarrhea, and should be avoided by people with kidney or heart disease. D'Adamo says people with B positive blood are particularly susceptible to stress-related digestive system disorders. Licorice -- an herb whose root may be useful in treating indigestion, gastric reflux and ulcers -- is recommended to help prevent stomach problems in type B individuals. The University of Maryland Medical Center reports that a typical dosage of licorice extract can range between 250 mg to 500 mg, taken up to three times daily. Licorice use can cause numbness and muscle pain, and should be avoided by anyone with cardiovascular problems, diabetes, high blood pressure and kidney or liver disease, as well as by anyone using insulin, laxatives, oral contraceptives, corticosteroids and ACE inhibitor drugs such as benazepril or enalapril. Check with your doctor before supplementing your diet with licorice. 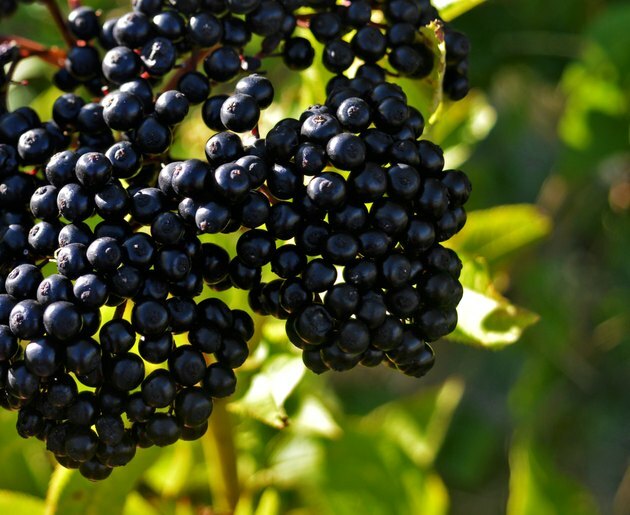 Elderberry is a native Asian, African and European plant whose berries contain a high concentration of compounds that may have anti-viral and anti-inflammatory properties. Some scientific research indicates that supplementing with elderberry can help treat cold and flu symptoms and heal sinus infections. D'Adamo strongly recommends that type B blood group people supplement regularly with elderberry because they are supposedly the most susceptible of all blood types to bacterial and viral infections. However, don't start taking elderberry supplements until you've spoken to your doctor first: They may interfere with other medications, including immunosuppressants, diabetes drugs and diuretics. D'Adamo contends that people belonging to the B blood group need additional digestive enzymes and beneficial intestinal bacteria in order to ward off digestive problems. He markets a probiotic formula that, he claims, contains blood type B-friendly bacteria that supports both healthy digestion and intestinal tract health. These formulas aren't regulated by the FDA, and D'Adamo does not offer clinical trial evidence to support his claims. Talk to your doctor about the possible dangers before using any probiotic formula to treat digestive problems. Eat Right For Your Type: What Makes a 'Type B' an Individual? Mayo Clinic: Blood Type Diet - What Is It? Does It Work?